Terzan 5 is a heavily obscured globular cluster belonging to the bulge (the central star concentration) of the Milky Way galaxy. It was one of six globulars discovered by French astronomer Agop Terzan in 1968 and was initially labeled Terzan 11. 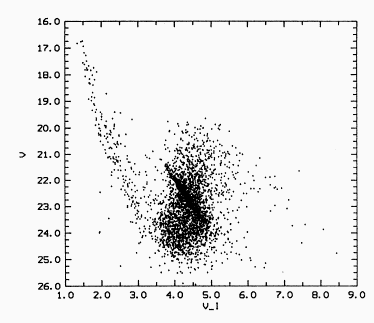 The cluster was cataloged by the Two-Micron Sky Survey as IRC�20385. It is situated in the Sagittarius constellation in the direction of the Milky Way's center. Terzan 5 probably follows an unknown complicated orbit around the center of the galaxy, but currently it moves towards the Sun with the speed of around 90 km/s.